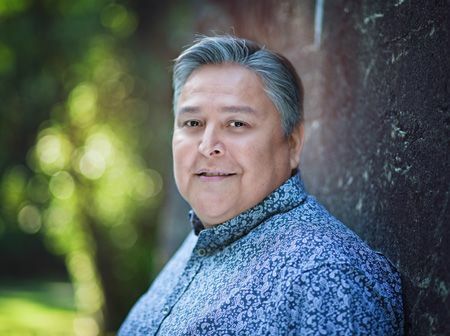 Bob Joseph, founder and President of Indigenous Corporate Training Inc, has provided training on Indigenous relations since 1994. Each year he assits thousands of individuals and organizations in building Indigenous relations. His Canadian clients include all levels of government, Fortune 500 companies, financial institutions, including the World Bank, small and medium-sized corporate enterprises, and Aboriginal Peoples. He has worked internationally for clients in the United States, Guatemala, Peru, and New Caledonia in the South Pacific. In 2006, Bob facilitated a worldwide Indigenous People’s roundtable in Switzerland which included participants from the United Nations, Australia, New Zealand, North, Central and South America, Africa, and the Philippines. Bob has worked as an associate professor at Royal Roads University and has routinely been a guest lecturer at other academic institutions. He has an educational background in Business Administration and International Trade and is a certified Master Trainer who in May of 2001 was profiled in an annual feature called, “Training: the New Guard 2001” by the American Society of Training and Development. Bob was one of nine trainers selected for the feature from over 70,000 members who come from more than 100 countries and 15,000 organizations. Bob is an Indigenous person, or more specifically a status Indian. He is an initiated member of the Hamatsa Society and has inherited a chief’s seat in the Gayaxala (thunderbird) clan, first clan of the Gwawa’enuxw. Bob looks forward to his first potlatch as a chief in 2019. His chief name is K’axwsumala’galis, which, loosely translated, means "whale who emerges itself from the water and presents itself to the world."